Every lesson we ask our athlete’s one of three things: how’s your self talk, what’s been your plan at the plate, or what have you been focusing on in practice (aka your routine). When athletes struggle to come up with immediate answers to these questions, we know their in-game success will be limited. Every athlete has to always have purpose and a routine when they practice and prepare. Every athlete needs to have a plan at the plate, on the mound, and on the field. Every athlete must be aware of their self-talk (“Do” statements versus “Don’t” statements). Success is doing things everyday consistently to reap the long term rewards. It’s not intense, it’s not crazy, it can seem boring. Our athletes should be predictable in their practice and game routines. So when the game is on the line…they remember their training. 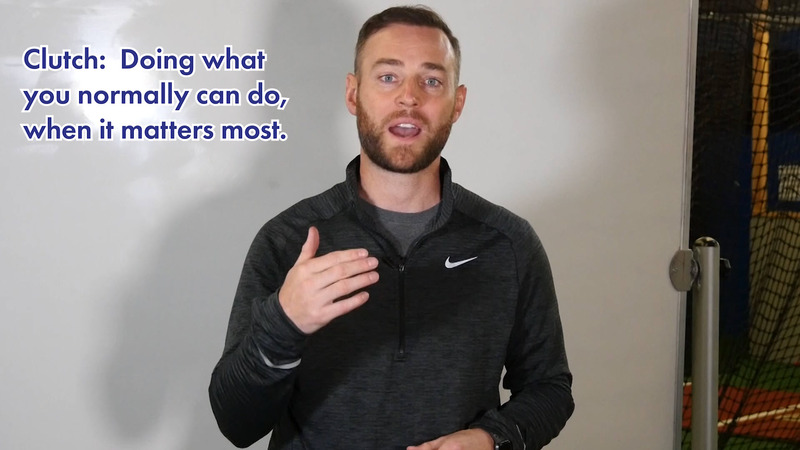 Mental Skills Coach Collin Henderson shares the importance of reliable processes and practice routines to alleviate the pressure of rising to the occasion in games. • Certain routines that you do during the week when you train that you can go to during games. • Your warm up process and stick to it in practice and in games. We don’t rise to the occasion, we fall to our level of training. Also, repeated actions become instinct. One of the keys to mastering your mindset is to develop consistent routines that you go to… to calm your nerves and increase your focus. It is vital to treat every competitive moment the same, no matter if it’s practice, game-time, or crunch-time. Remember to focus on the process not the pressure! No Replies to "Trusting the Process"